Looks fun. Something tells me this means Rey actually is a skywalker...but who knows. 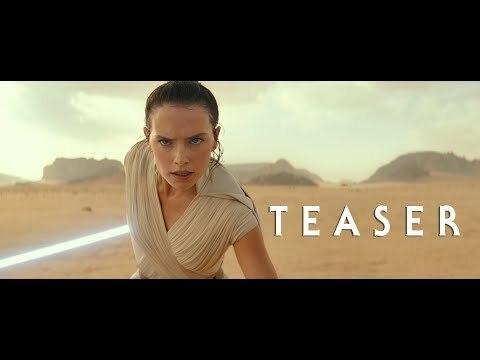 Anyone have any idea why its called a "teaser" and not a trailer? Also i'm very glad Kylo is putting his helmet back together. He's more BA with it IMO. I think a teaser is supposed to just tease the audience, while a trailer comes out later and gives away a bit more information. Looks great. Love Papa Palpatine making his sequel debut! I'd heard a theory (yep, they're a-flyin' now!) that states that "Jedi" is being replaced with "Skywalker", which is kinda neat. The Jedi are dead. Long live the Skywalker. I absolutely DARE Disneyfilm to have this be the only trailer. TV spots would remain the same, but with the release date added. I triple-mastiff dare you, Disneyfilm! Wouldn't Kylo have to die to "end the Skywalker saga". What if it means rise literally. He climbs a tower. Of course, then he falls off. For Jedi being called Skywalkers, it links in with Thrawn: Alliances, where Thrawn tells Vader that Chiss force users have an ability the Chiss call “Third Sight”, which translates to basic as “Sky-Walkers”. Could this mean the Chiss have something to do with Episode 9? Could it mean... Thrawn? We might have to wait. Or, Disney could ruin the surprise with another trailer. Hollywood is all about metaphor. Well, more simile than metaphor. The opening narration could be a way of skirting TLJ. "We've taught you all we can..". So she has been taught, she is not Rogue from X-Men and she absorbs abilities. "..this is your fight" explains why Luke is not there. Like how HP had to face Voldy on his own. Nothing new, makes for good ultimate battle. "Every generation has a legend". Legends are embellished, ask Gandalf "...all good stories deserve embellishment". Tie Fighter Scene. Shows she is ready to face whomever. Leia's theme, ok where is that tissue? (no snark, damnit where is it?). Kylo slamming the guard. Perhaps he is turning to the light, or is facing insurrection in the ranks? Kylo repairing his helmet. Wonder if he will use a cap piece like Darth's to join the two. Might look slick? Okay Bb8 has a buddy. I'm smiling. "The Saga comes to an end". Pretty self explanatory, but needs to be driven home. Presumably Rey fondling a medal. I believe it is the ones Han and Luke received from Leia, on Naboo? Remnants of the Death Star. Canon says for a Sith to return an object of importance of theirs must be present? Sooooo EP is going to make an appearance if only as the Sith equiv of a Force Ghost? EP's cackle.. well he does that. Yes, and breaks his neck on impact. I can't wait for Rey Skywalker to come to this game. She is probably be able to instantly defeat all Empire/Sith/Sith Empire/First Order opponents. As for teaser I liked it. I think that opening scene is very much Ahsoka Tano like with that acrobatic flip over TIE-Slicer. Skywalker might indeed be new title for kind of people that will replace Jedi but I would have preferred that they went with Je'daii. One thing for sure is that Kylo's new helmet is even cooler than the old one. I'm not holding my breath. I don't know if I will cough up the money to go see it in theaters, or wait for it at the redbox. First off the name - The Rise of Skywalker. We just had the last jedi ram it down our throats that we should let the past die and that this franchise is moving away from the Skywalker family. TLJ destroyed Luke's character and killed him off, yet here we go with the announced title. Seems like a big back track to me. Furthermore, in all TLJ spirits to destroy Kylo's helmet and see his character "grow" I guess he regrets his temper tantrum and is repairing his broken helmet - so much for letting the past die, lol. The title could mean any number of things. Like Jesus rising 3 days after crucifixion, could Luke be rising from the grave? I mean we already had Mary/Smi and Jesus/Anakin before. Initially this installment was going to see Leia rise to power - but with Carrie's death and limited raw footage to use for E9, I doubt the title pertains to her. One thing is for sure, Kennedy was absolutely wrong that they were not going to use any raw footage, and said JJ was confused about doing so. It could mean Kylo's rise, but although he has Skywalker blood, he is a solo. Perhaps Rey is a Skywalker after all or there is another character we have yet to see that is another Skywalker. Another thing I noticed was the first failure for Rey. It seems that rather than building a new lightsaber, she fused the broken lightsaber back together. It appears Rey is unable to build her own lightsaber - something that Younglings in the prequel era were able to do. Also could Rey's power be explained - she has the knowledge of a thousand Jedi generations within her. What does this mean??? As for no one being truly gone, this could reference Luke's return, physical or spirit form - but what about Palpatine's laugh at the end? If Palpatine is brought back, this would just undermine everything - his character, death, prophecy of Anakin and even Snoke. Unfortunately this trailer did little to raise any excitement for me to see this movie. TLJ really did a number on me and probably many fans. I do not know how they are going to make this movie good without completely retconning everything in TLJ or destroying integrity of TLJ (if it has any). 1. Why is Rey breathing so heavy at the starting? How did she get to the middle of nowhere in a desert? 2. Why is the ship not firing blasters? It seems uncommon that ships try to just run over people. 3. Palp? How is he back? 4. Not a question but I love that Kylo is getting his helmet back. 5. Who is Kylo/First Order fighting in the woods? 1. That's a good question. I'd assume your answer is tied into my theory of an answer for #2. 2. I would assume it's because Kylo and Rey team up. While I didn't think that was likely, it would make sense that the return of Palpatine (or at least part of the Empire that poses a great threat to both of them) would make them team up, and that Kylo is teaching Rey. I presume it's Kylo simply because it is his TIE Silencer, and it's a training session because instead of trying to murder her with using the blasters, it seems like he's providing a test for her to jump over, agility training? 3. The comics show that he learns Essence Transfer and can survive by transferring himself into clones. Maybe there's that, maybe it's something else. It could be a great many things. 4. I agree. It's lovely. Great post that sums up all of my issues with the trailer too. They regressed Kylo's development, retracted Rey into a mary sue again, and reusing old villains / scenes for nostalgia (Emperor / Death Star). I really don't like JJ Abrams as a director for Star Wars at all. Where is the regression for his character? His outrage causes him to destroy his helmet, and then reforges it, which shows further growth, not regression. How is Rey becoming a Mary Sue again? Just because they show the destroyed Death Star (which makes sense) doesn't mean they're simply reusing it, and his laugh doesn't necessarily mean the Emperor will be back, just that he's going to be involved (most likely referenced somehow). Snoke berated Kylo for wearing the helmet (like some sort of vader wannabe cosplay kid) stating that he was better and more mature than that - show his face! Kylo then smashes his helmet - shedding his "Darth Vader-like persona) and becoming his own person, confident leader that grows to challenge and surpass his master - Kylo from then on (after Snoke's scolding at the beginning) grew throughout the film, all about letting the past die, and to evolve and change be your own master. Now he goes back to hiding behind his mask again - what happened to letting the past die, or "taking that ridiculous thing off" and being his own confident person? He is back hiding behind the mask, pretending to be Vader again. In truth - the fans actually like Kylo's helmet. He looks cool. This was another thing that fans were upset about in TLJ and this is one thing for sure that has been retconned in E9. The sad thing, from a fan point of view, is I agree. Not really interested in seeing 9. Me too. I felt nothing watching the trailer. It was more amusing seeing the title, Kylo fixing his helmet and other things retconning TLJ or poorly playing some sort of fan service to win us all over - pathetic. TLJ and the media fallout after it just killed it for me. I will see E9, eventually. But certainly not pumped to see it at all. Coming from a fan loyal to star wars since I was old enough to walk and having seen every star wars movie (except Solo) in theatre - this is a sad thing to admit. I take no pleasure in stating that I feel nothing for E9. On the contrary, I want to be excited. But I'm not. Sad reality indeed, and clearly I am not the only one who feels this way. I actually wanted a film like Han Solo, and I wanted to see it in the theater, but I wasn't going to fall for their hype again so I didn't go. Watched it on Netflix instead. I liked the film well enough even if it didn't fit my preconceived notion of who Han was; it was loads better than what we've been getting in the PT. I liked Kylo's helmet. Sure, it's a bit silly, it was an obvious Vader-nostalgia prop, but it looked good and was a fine addition to Star Wars, galaxy of outrageous helmets. Kylo smashing it in TLJ actually felt out of character to me. The man with the cracked head wearing gold Gucci robes tells Kylo he looks silly wearing the mask. 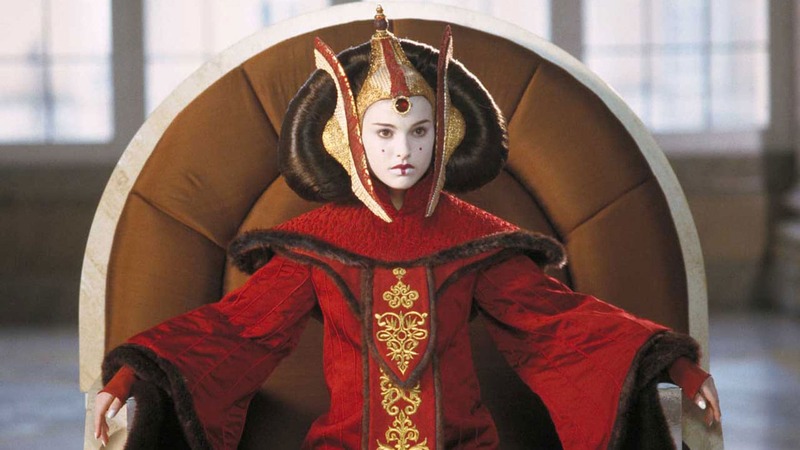 News flash, Star Wars is built on silly costumes, let's not get caught up in who looks silly. Here we go again. Its Khan all over again! When asked if he was a communist, Groucho Marx replied "Everything I say is a lie and everything I deny is a lie". Seems it is being used as a modus operandi by some. Humor aside, the scene of Lando in the Falcon, for some unknown reason I think he is going to be with Han. At the least, ending his life? I can't explain it, I just get that feeling. I feel a lot of Episode 9 will be trying to repair the damage done in episode 8 unfortunately. But i'm still very excited to see it. And I like that Kylo is rocking the helmet again. There will probably be a reason he repairs it.